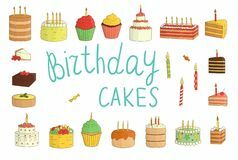 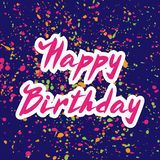 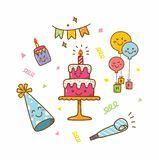 Vector set of colorful cakes with candles, balloons, presents Kawaii style birthday doodle isolated on white background Happy birthday set Card with balloons and cake Holiday set with chocolate cake, balls and gifts. 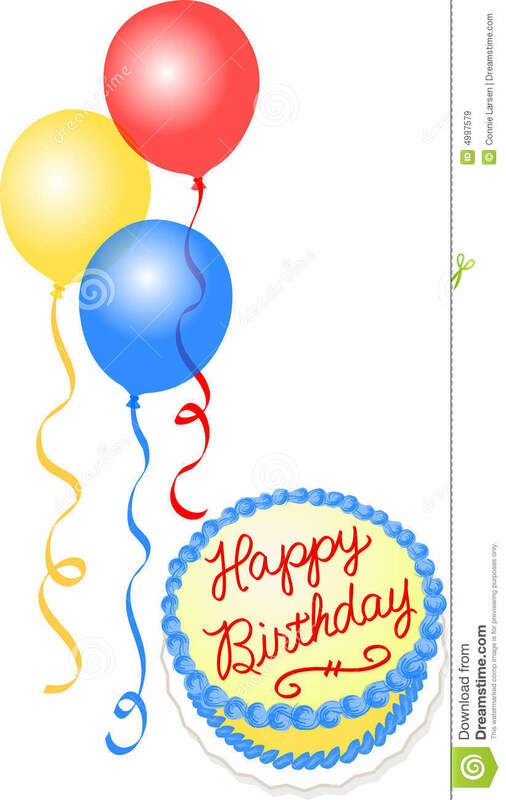 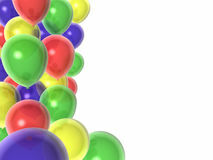 birthday invitation icon on white background. 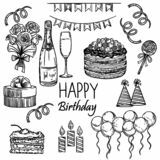 Simple element illustration from birthday party and wedding concept Vector illustration: Handwritten modern brush lettering of Happy Birthday on blue with confetti background. 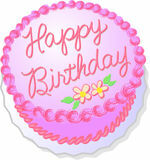 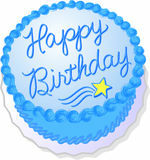 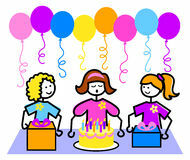 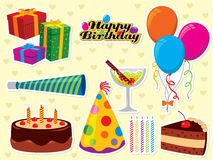 Linear birthday invitation icon from Birthday party outline collection. 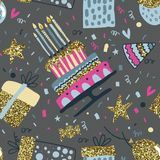 Thin line birthday invitation vector isolated on white Vector seamless pattern with air balloons, fireworks, confetti,birthday cake.